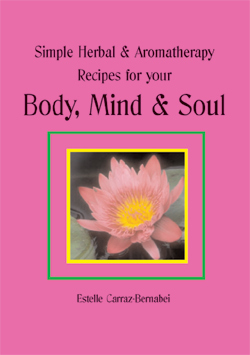 Brief Description: Simple Herbal & Aromatherapy Recipes for your Body, Mind & Soul is a easy and delightful way to turn common household items into lavish natural health and beauty products. Everyone can use theses fun recipes to look and feel better in just a matter of minutes. Bath salts, herbal soaps, synergy blends, salves and lip balms are a few of the easy recipes included. 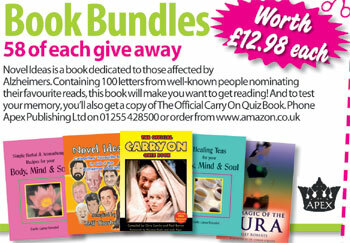 Use the recipes in this book to create pleasure for all your senses from the nose to the toes. Special Note: This book is also available as an ebook. About the Author: Estelle Carraz is a certified massage therapist and has been helping her patients cope with stress, mental exhaustion, muscle spasms and everyday tensions since 1996. Besides having a full time job as a therapist she also obtained her doctor of naturopathy which she incorporates the benefits of homeopathy, flower essences, herbal medicines and nutritional supplementation to treat the body as a whole. She has written many articles for the Holistic journal and has been a successful ambient artist for many years. The author resides in Philadelphia, USA. 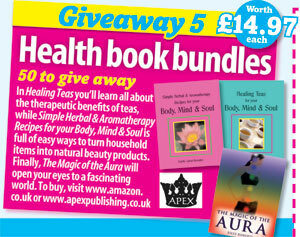 Full of natural solutions for all aspects of health and wellbeing. Followers of herbology and aromatherapy etc. will find the recipes in this book well set out and easy to follow. 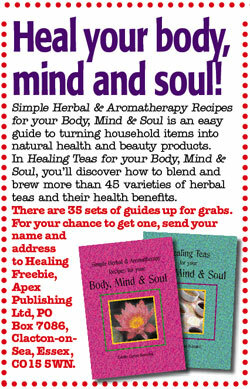 Simple Herbal & Aromatherapy Recipes for your Body, Mind, & Soul, is incredibly useful, and surprisingly helpful. Full of simple recipes to help calm problems like sunburn, and will help you to sooth tired aching feet, plus many more recipes, in a pleasant herbal way. This book wins 4 pizza slices.